A year and a half ago I thought it would be fun to commemorate the centenary of the Russian Revolution by setting myself a challenge to read all about it. It’s a period I knew very little about, having forgotten what little I learned in school back in the dark ages. The plan was to read some history, some contemporaneous accounts and some fiction, both classic and modern. And I have to admit, at risk of sounding even weirder than usual, I thoroughly enjoyed the whole experience! If you want to see the full list of the books I read, you’ll find it here. I decided against three of the books on my initial list of ten as I went along, and abandoned another too early to review. On the other hand, I added eleven – a combination of books that were published during the centenary year and books to which some other part of my revolutionary reading led me. In total, then, seventeen books, of which seven are factual and ten fiction. I enjoyed the vast majority of them, with only a couple being quite disappointing. So to celebrate the end of this challenge, I thought I’d pick out what were the highlights for me – all books that I unreservedly recommend – and some of the images I used to illustrate my reviews. Massive in scope and meticulously researched, this history of the Revolution is brilliantly written and well laid out, making it easy to read and understand despite the immense complexity of the subject, even for someone with no previous knowledge. It’s an exemplary mix of the political, social and personal, so that I came away from it understanding not just the politics and timeline of events, but how it must have felt to have lived through them. 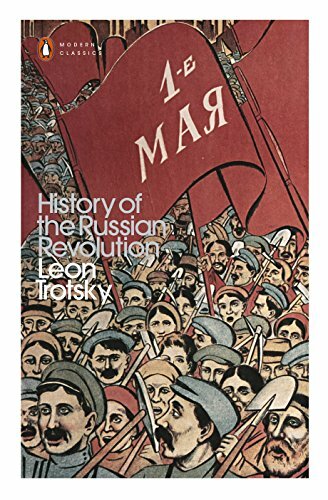 Should you ever be struck with a sudden desire to read an 800-page history of the Russian Revolution, then without a doubt this is the one to read. 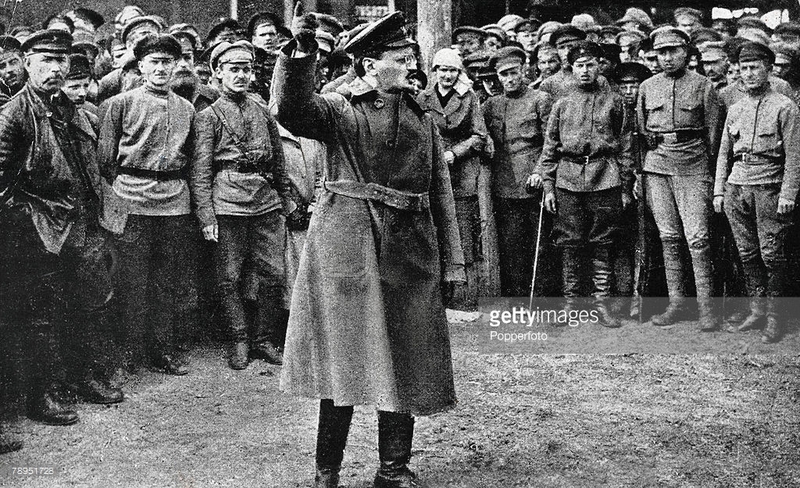 Trotsky’s own detailed account of the events of 1917 and analysis of what led to Russia being ripe for revolution at that moment. Dry and jargon-filled when discussing Marxist theory; sarcastic and even humorous when talking about Stalin or the bourgeoisie; angry and contemptuous when discussing the Romanovs and imperialists in general. But when he gets misty-eyed about the masses, describing a rally or demonstration or some other part of the struggle, he becomes eloquent and even inspirational, writing with real power and emotionalism, reminding the reader that he was a participant and passionate leader in the events he’s describing. Essential reading for anyone with a real interest in the period. 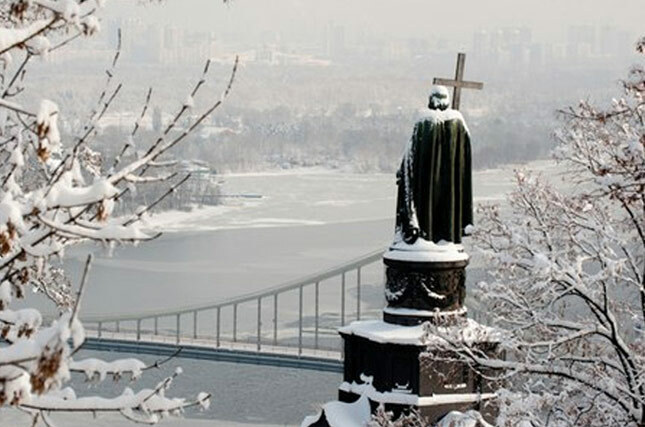 It is 1918, and Kiev in the Ukraine is at the swirling centre of the forces unleashed by war and revolution. The three Turbin siblings are White Russians, still loyal to the Russian Tsar, hoping against hope that he may have escaped the Bolsheviks and be living still. 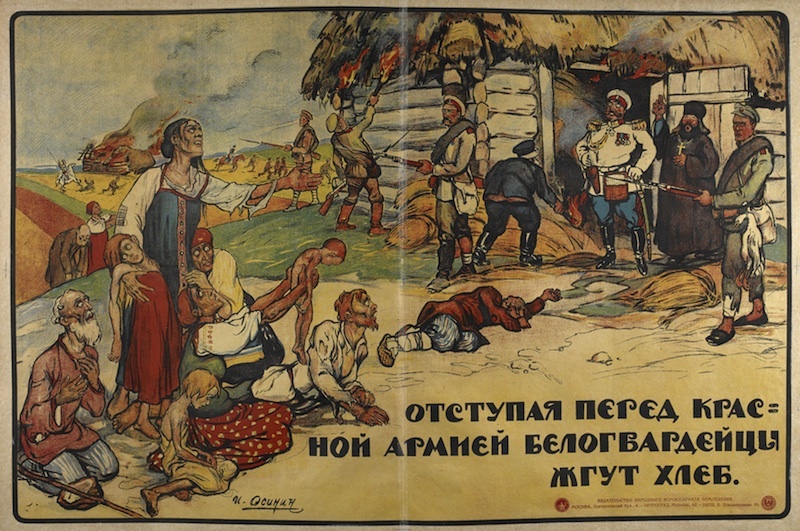 But there are other factions too – the German Army have installed a puppet leader, and the Ukrainian peasantry are on the march in a nationalist movement. This is the story of a few short days when the fate of the city seems up for grabs, and the lives of the Turbins, like so many in those turbulent times, are under constant threat. 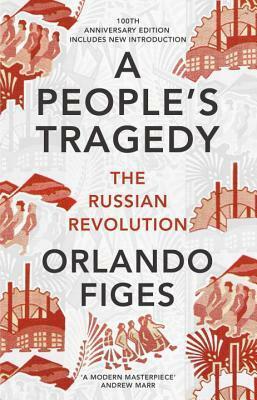 A truly brilliant book that, while concentrating on one small city, gives a brutal and terrifyingly believable picture of the horrors unleashed in the wake of bloody revolution. 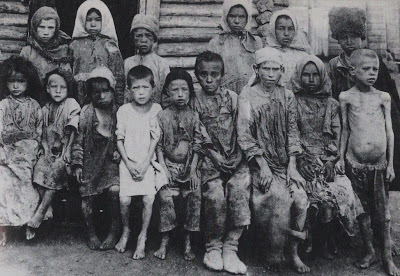 This Nobel Prize-winning novel follows the members of one family, the Melekhovs, through the upheavals of early 20th century Russia, casting light on those events from the Cossack perspective. It’s divided into four sections – Peace, the Great War, Revolution and Civil War. The book has the added fascination that we’re seeing how it all played out through the eyes of those at the bottom of the society’s power structures, rather than via the political actors and intelligentsia whose opinions are the ones we normally hear. Very similar were all the prayers which the cossacks wrote down and concealed under their shirts, tying them to the strings of the little ikons blessed by their mothers, and to the little bundles of their native earth. But death came upon all alike, upon those who wrote down the prayers also. 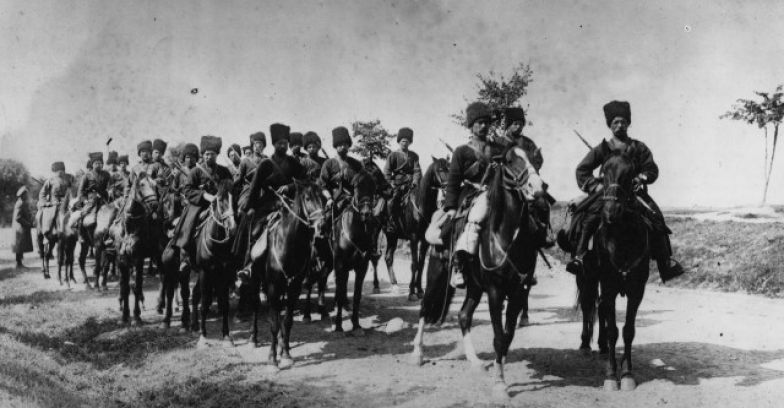 Their bodies rotted in the fields of Galicia and Eastern Prussia, in the Carpathians and Roumania, wherever the ruddy flames of war flickered and the traces of cossack horses were imprinted in the earth. A wonderful book, one that fully deserves its reputation as a great classic of the Revolution, and of literature in general. To be able to tell such a difficult and complicated history while simultaneously humanising it is a real feat, and one Sholokhov has pulled off superbly. According to secret reports from the Commissariat’s foreign agents, the movies had reached every burb and hamlet of America. This transformation of the civilized world had taken place in a single historic instant. Despite its rejection of Byzantium, the West was creating an image-ruled empire of its own, a shimmering, electrified web of pictures, unarticulated meaning, and passionate association forged between unrelated ideas. This was how to do it: either starve the masses of meaning or expose them to so much that the sum of it would be unintelligible. 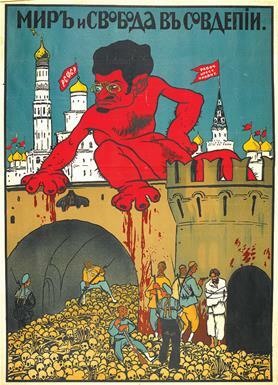 The major theme of the book is about the development of propaganda techniques under Stalin, specifically using film. More widely, it’s about facts, presentation of facts, distortion of truth using facts, myth-making; and, as such, feels even more timely today than I suspect it would have done when originally published. Plus it’s brilliantly written and highly entertaining. The story of three men whose lives become intertwined across decades and continents: the Cuban narrator who tells the story, Trotsky living in exile in Mexico, and a young Spaniard, Ramon Mercader del Rio, who has been recruited by Stalin. 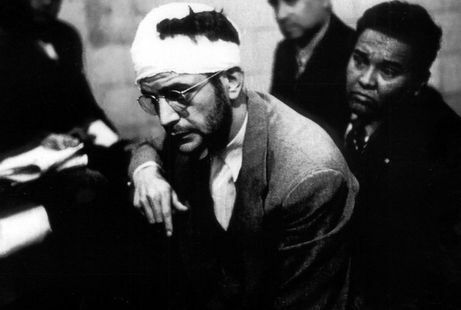 The primary story is of Trotsky’s assassination in 1940. Its purpose runs deeper though: to look at the corruption and failure of the utopian dream of communism and to inspire compassion for the people caught up in this vast and dreadful experiment. He [Trotsky] whistled, demanding Maya’s presence, and was relieved when the dog approached him. Resting his hand on the animal’s head, he noticed how the snow began to cover him. If he remained there ten or fifteen minutes, he would turn into a frozen mass and his heart would stop, despite the coats. It could be a good solution, he thought. But if my henchmen won’t kill me yet, he told himself, I won’t do their work for them. Guided by Maya, he walked the few feet back to the cabin: Lev Davidovich knew that as long as he had life left in him, he still had bullets to shoot as well. 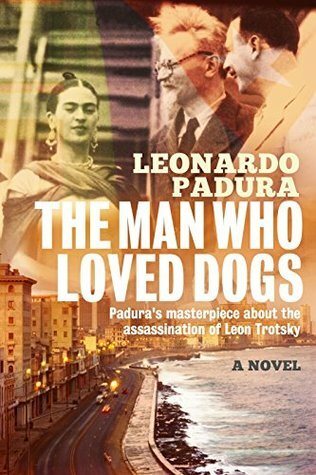 Padura’s deep research is complemented by his intelligence, insight and humanity, all of which means that the book is more than a novel – it’s a real contribution to the history of 20th century communism across the world, looked at from a human perspective. My only caveat is that without some existing knowledge of the history, it may be a struggle to get through. But for anyone with an interest in the USSR, Cuba or the Spanish Civil War, I’d say it’s pretty much an essential read. I have thoroughly enjoyed your journey and I’ve picked some knowledge about and enthusiasm for this time and place through reading about your reading. The Bulgakov, Sholokhov and Kalfus plus a few others have made it onto my list. Congratulations for your dedication and commitment and thank you for sharing FF! There is a lot here that’s new to me but I’ll be adding the Kalfus and Bulgakov books to my lists. 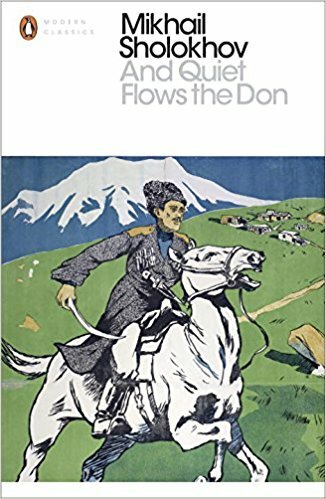 Of those I have read I agree that Figes book is wonderful at making something incredibly complex easy to follow and the Sholokov novel and it’s sequel The Don Flows Home To The Sea are among my favourite books ever! Two excellent choices! 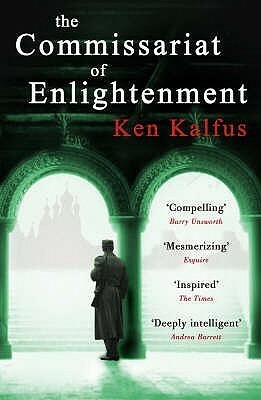 I love Kalfus and wish more people read him, and the Bulgakov is definitely a classic. The Figes was great for me because he assumed absolutely no prior knowledge, which was exactly what I had! And it provided a great foundation for all the rest. I haven’t managed to acquire The Don Flows Home yet, but I’m looking forward to it – And Quiet Flows the Don was a wonderful read. I can’t remember if I have recommended this before but if you want to extend your travels in Soviet Russia a little further, I thoroughly recommend ‘Khrushchev’ by William Taubman. It is the finest biography I have ever read and answers a bewildering question: how did a buffoon like Khrushchev seize control of the USSR? What a fantastic idea, to do this reading project in the centenary year…I love it! So many great titles here! I’m especially interested in the Bulgakov one, I’ve read it’s extraordinary and I’ve only read The Master and Margarita of his. Definitely need to explore his titles more. Excellent post, wonderful ideas here!! Oh you have to read it…one of the best books I’ve ever read, just incredible! Well done! Can’t wait to see what you do next. I added The Tsar of Love and Techno to my list, way back when you reviewed it. Haha – I haven’t decided what to do next, but I have a few ideas… 😉 I think you’ll love The Tsar – I nearly put it on this list, but it doesn’t have the same direct link to the revolution as these ones do. But it’s just as good! Wow. What a send off! If I had a trophy to give you, I would hand it over gladly. Now you’re probably qualified to teach on this subject at university! Congratulations on reaching the end of (and surviving!) your challenge. The mixture of fact and fiction probably gave you a much clearer picture than either would have done alone. Lucky you! My mom used to make me at least try ONE, which was one too many for my taste, ha! They’re probably good for you or something. Bravo, what an achievement, FictionFan! Was there a moment or an image (not visual, but written) that you encountered during this challenge that really stuck with you? It’s been interesting to follow you on this journey; I don’t know much about the revolution either, but tried to read more when I encountered the writer Zarina Zabrisky, who now lives in California but grew up in Russia. So many! Probably the first was finding that Trotsky had managed to make me want to grab a placard and get out there and march – I realised if he could have that effect on me a hundred years later and in print, what an impact a true demagogue must have on people when they are also a great orator. It’s not like I even agree with him or admire him, but I still found myself carried away by him. But so many of the books stopped me in my tracks – a great experience all round, I have to say! Yeah, your Trotsky book review stood out to me the most because his voice changed throughout. Yes, that was what made it such a powerful read – his personality was never far from the surface. Aw, thank you! 😀 Some of these novels are fantastic even if you’re not as obsessed by the revolution as me. True classics, even the modern ones! Have you read the Helen Rappaport nonfiction books on the Romanovs? I have one of them here and have planned to read it for a while! No, but funnily enough I saw a great review of one only yesterday… http://whatsnonfiction.com/2018/08/11/scenes-from-a-house-in-ekaterinburg-in-july-100-years-ago/ …and promptly added it to my wishlist! I kinda ignored the Romanovs for this challenge because it was more about the revolution than what came before it, but I’d be interested to read more. I’m afraid given what I now know about the horrible things that they allowed to happen to the Russian people, I can’t get up a lot of sympathy for them! I certainly learnt a fair bit through your reviews and your enthusiasm for this project has shone through – congratulations! What an impressive achievement – well done! 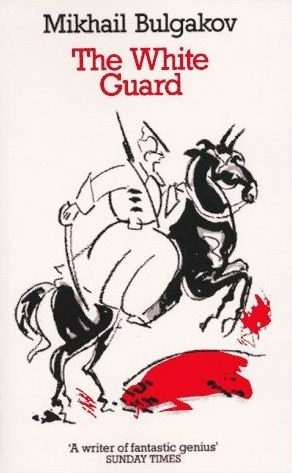 The White Guard is on my Classics Club list so I should be reading it soon and, thanks to your review, I want to read And Quiet Flows the Don now as well. Thank you! 😀 The White Guard is wonderful – I’m thinking about re-reading it now I have a clearer understanding of all the factions and stuff, but it blew me away even when I wasn’t totally sure what was going on in the background. And Quiet Flows the Don is a great book too – I think you’d enjoy it. That’s an interesting idea for a themed read. Good job! I mean to read And Quiet Flows the Don sometime. Thank you – I’ve really enjoyed doing it! 😀 And Quiet Flows the Don is wonderful – I heartily recommend it. God, what a horrific time that was, I’m so glad I was born nowadays! 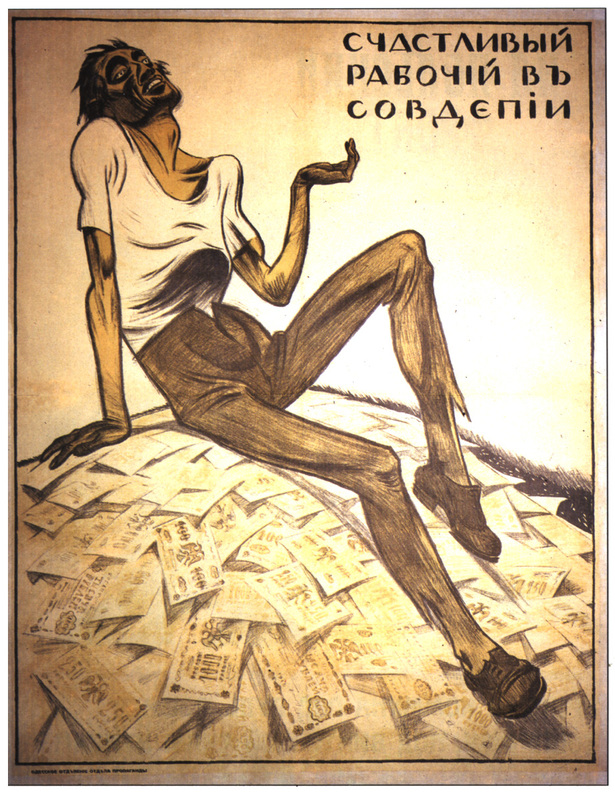 The one aspect to your read-along that will stick with me for years to come was definitely those propaganda posters, the images are so haunting! And the picture of those starving children-my god! Very impressed by the reading you’ve dome on this theme! I have tried a few Russian authors but the only one I really liked was Yevgeny Zamyatin’s ‘We’, written not long after the Revolution. (Desperately trying to catch up on blogs here!) I’ve really enjoyed following along with this series! I think some Russian history/authors have snuck on to my TBR in the last year and I place the blame on you. Do you think you’ll do something like this again, with a different historical era? Pity to waste so much valuable reading time on people telling us what other people said or did.